Most Americans dont think of their government as an empire, but in fact the United States has been steadily expanding its control of overseas territories since the turn of the twentieth century. Now, through political intimidation and over 700 military bases worldwide, the U.S. holds sway over an area that dwarfs the great empires of world history. Eland shows that the concept of empire is wholly contrary to the principles of both liberals and conservatives and that it makes a mockery of the Founding Fathers vision for a free republic. Eland also warns that in recent years, blowback and the enormous expansion of domestic federal power resulting from this overextended empire have begun to threaten the American homeland itself and curtail the very liberties these interventions were supposed to protect. Public debate of the United States role in the world has finally begun in earnest, and Ivan Eland delivers a penetrating argument in this landmark book, exposing the imperial motives behind interventionist U.S. policy, questioning the historical assumptions on which it is based and advocating a return to the Founding Fathers vision of military restraint overseas. 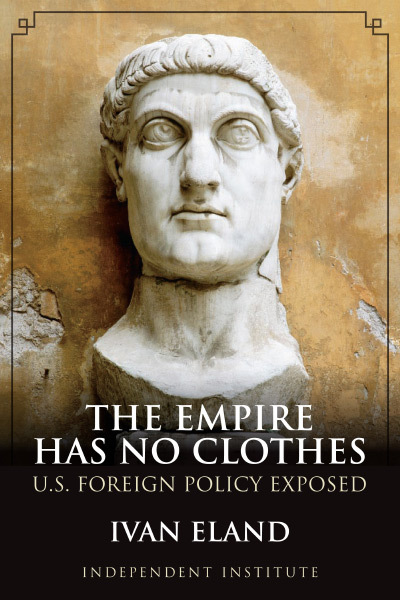 Does the United States Really Have an Empire?